DUMeter is a tool I’ve used for more than a decade since Windows NT 4.0 and it’s been exceptionally useful. It provides a monitor that hovers over all your windows (even during PowerPoint presentations if you want it to) and tells you what kind of bandwidth you’re consuming. In it’s “mini-mode”, it hovers at the top of the screen and is perfect for tablets & desktops. It takes up very little room and tells you at any moment what bandwidth is being consumed either up or down. 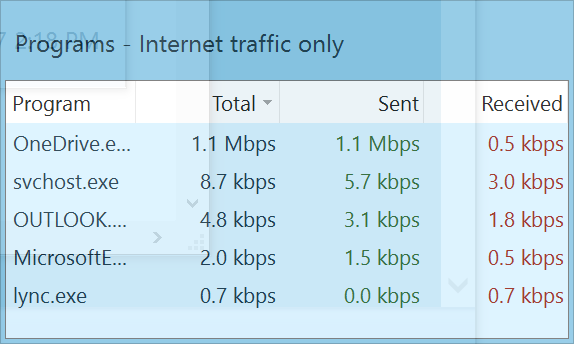 There are two tabs that allow you to specific “traffic over the network” vs “traffic over the Internet”. 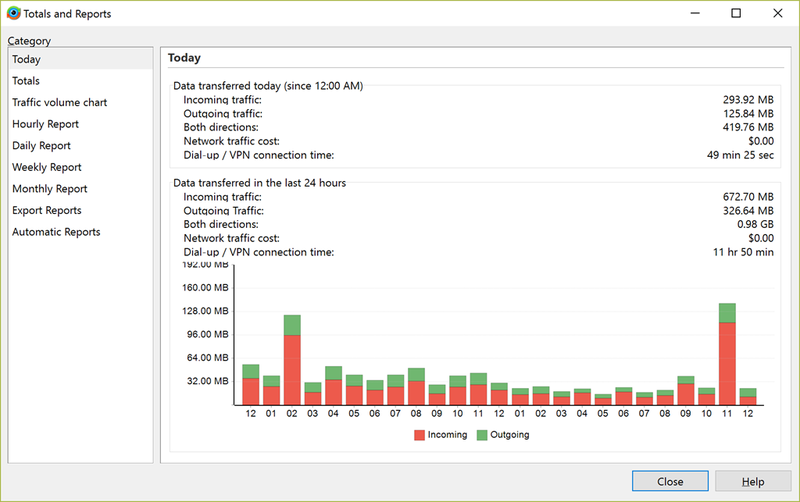 The usual view of DUMeter is a histogram that shows you the bandwidth consumed over time, both up & down. It typically sits in the bottom right hand corner just above the System Tray but you can move it anywhere and it will (usually) stay in front of any other windows that appear. This is my favorite: It’s a view that shows you the bandwidth being consumed per-application. Sure it’s nice to know if your machine is transmitting or receiving data, but what you really want to know is if the program you’re using is DOING ANYTHING. This mode gives you a precise view of what application is consuming bandwidth… or not. There is also great reporting available on how much bandwidth has been consumed per hour or within the last 24 hours. You can create thresholds to ensure that you don’t exceed a certain amount of consumption if you’re on a limited plan, say over your cellular carrier. All in all, this is one of my favorite tools and hopefully you’ll enjoy it too.